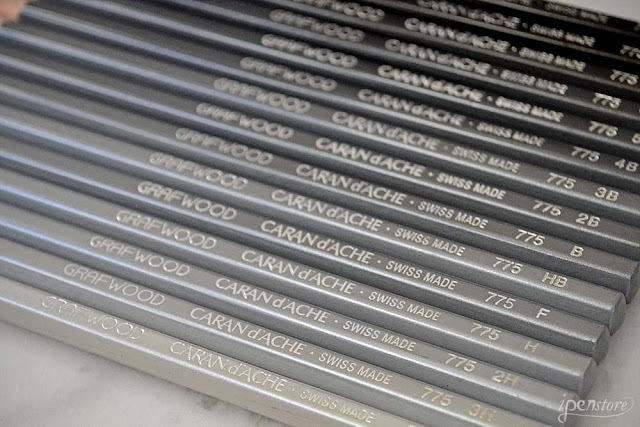 We are now carrying Caran d'Ache Grafwood Graphite Pencils! 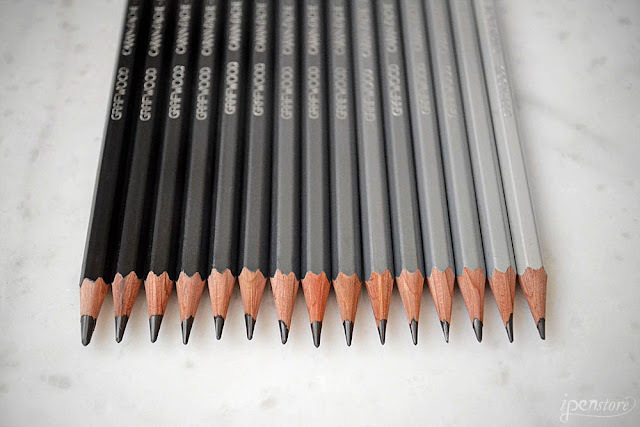 These pencils are sold individually, which is nice for artists to be able to pick and choose the the shades they need, or to try out the pencils before investing in a complete set. The pencils are color coded by their wood casings- just like regular colored pencils. 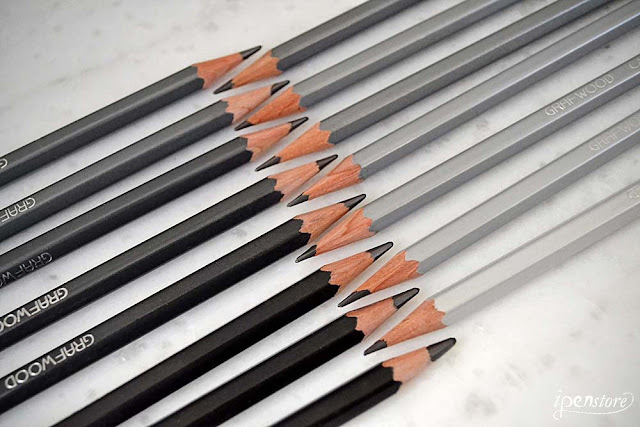 The pencils also are numbered to indicate the hardness of the lead- but having the color on the outside makes it much easier and faster to grab the shade you need! The lead grade options range from 4H to 9B. The darkest pencil= the softest lead. The pencils are slightly over-sized hexagon barrels- making it more comfortable for drawing over long periods of time. 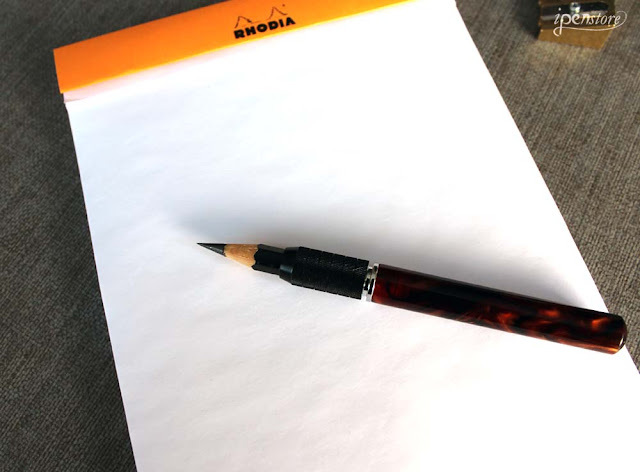 The graphite is very smooth, and glide over paper effortlessly without any scratchiness. 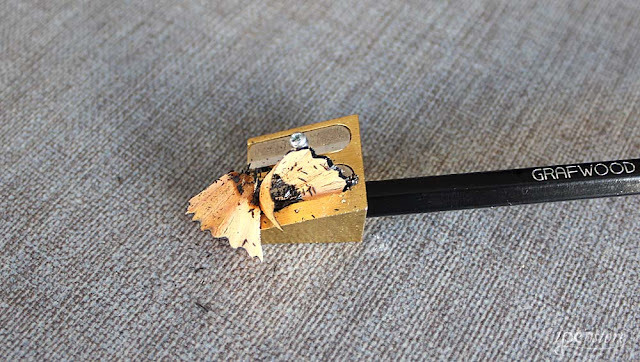 We recommend the Mobius + Ruppert Brass Double Hold Wedge Shaped Pencil Sharpener because it's an artist's quality sharpener for use with graphite pencils. This sharpener is suited for standard # 2 size pencils and maxi size pencils (9.3 mm). The Mobius + Ruppert sharpener sharpens cleanly to a nice long point! The blades can be taken out and sharpened or replaced. Once your pencil gets too short, you'll want a pencil extender- we like the Rosetta Pencil Extender- shown above in Tortoise Shell. This extender gets great reviews in looks and function- especially for the diamond cut knurled grip section. 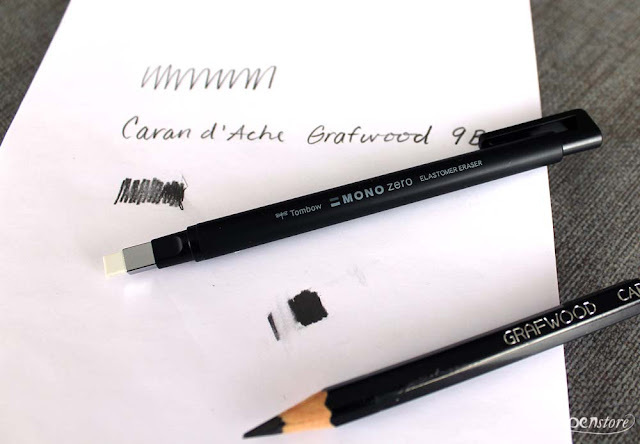 Very fluid and smooth- the 9B lays down a very dark solid line, and holds a point for an extended period of time without needing to be sharpened constantly. Even 9B erases cleanly- here I used the Tombow Mono eraser pen. 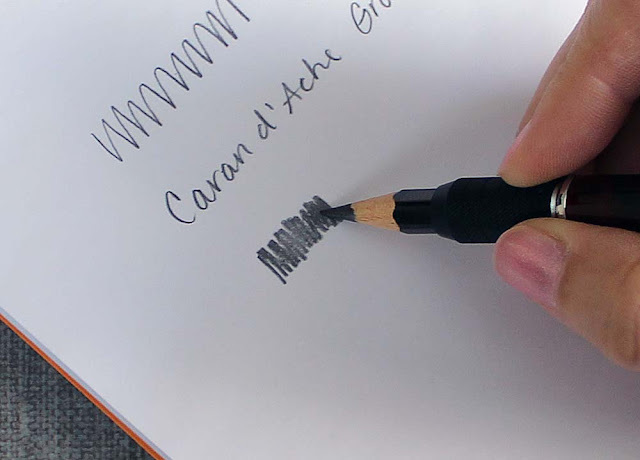 This eraser allows you to get very exact in erasing lines - it's the perfect eraser for precision work. 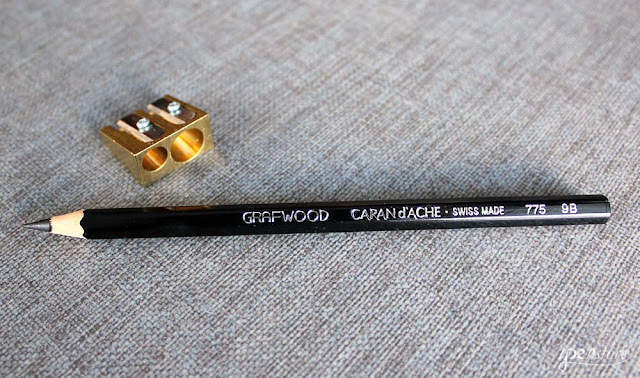 Check out the full line of Caran d'Ache Grafwood pencils in our store!